TokuNation Users Vote Valerie Vernon (PRLG Pink) as 17th Best Power Ranger! Over the course of 20 total weeks, TokuNation.com will be showcasing what our users voted as the Top 20 Power Rangers of All Time! There was no special criteria for voting – we just asked YOU who YOU thought was the best, and you voted! So what are we waiting for?! The users of TokuNation.com have voted Valerie Vernon, who played Kendrix Morgan the Pink Ranger on Power Rangers Lost Galaxy as the 17th Best Power Ranger of All Time! Click the title bar to read up on the character known as Kendrix Morgan, as well as what’s up with the actor who played her, Valerie Vernon! What are you waiting for? 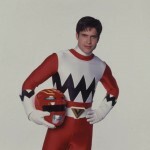 Check out images and the history of the first Power Ranger to ever fall in the line of duty! PLEASE NOTE! 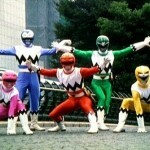 :[/u] Because of our upcoming coverage of San Diego Comic Con 2013, the TokuNation.com Users Top 20 Power Rangers Of All Time feature will not be updated next weekend. Jason David Frank (Tommy, a Power Rangers legend as MMPR Green, MMPR White, Zeo Red, Turbo Red, Dino Thunder Black), confirmed via his official Facebook page that the cameos we’ve seen in the images posted on Facebook, Twitter, and Instagram are it … no other past Rangers appeared. Thats the only 10 that were pick guys. No other rangers came back. Thats the legendary cast for that ep. So there you have it. We’d like to point out that yes, that is a list of ELEVEN, but the original list provided by RangerCrew.com’s Fury Diamond did not include Patricia Ja Lee. Whether she showed up on her own dime, or Jason David Frank really did do this for one dollar allowing her to be able to come, has yet to be revealed. Picture credit to the official Jason David Frank Facebook page, with all of our guest stars present. Let the Super Megaforce cameo speculation finally be put to rest! Earlier tonight, Alison MacInnis, or Dana the Pink Ranger in Power Rangers Lightspeed Rescue, confirmed that she was the 10th and final cameo Power Ranger returning for a reunion in Power Rangers Super Megaforce. The following list was revealed by Fury Diamond of RangerCrew.com some time ago, with Alison MacInnis being the final addition to the list tonight. Special thanks to Fury Diamond for all the glorious inside information on the upcoming reunion. No matter how small their roles may be, the fans are rejoicing to see some of their childhood heroes reunited, if even for a few seconds. NOTE: Jason David Frank actually flew out on Monday, a couple of days prior to the rest of the cast. He is most likely already on set. Could he be there longer to film something closer to a tribute than a cameo for Tommy Oliver? Stay tuned… Go Go Power Rangers! 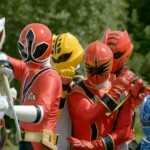 Rangercrew Member Fury Diamond once again breaks some news for Super Megaforce. Not counting the Samurai Rangers, it seems that only 10 past actors have signed contracts to reappear on Super Megaforce. Earlier, Jason Faunt has confirmed that he will be reprising his roll as Wesely Collins, in addition to David Slavin and Jason David Frank whom both confirmed that they will be making cameos. One of my sources has confirmed that 10 past cast members have signed contracts and already completed their fitting. Some of these cast members are not active with the fandom and Power Rangers conventions. 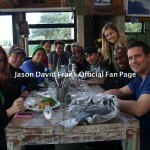 Jason Faunt confirmed earlier today and Danny Slavin may be one of the other cast members. The Samurai Cast members are not included in the 10 members. Several cast members got the invite but didn’t get the uninvite letter. They are waiting for production to make a decision. These cast members are very excited to return. My guess is that the production team only allocated for 10 past cast members. I got off the phone with my source with a fun list of confirmed cameos. I am waiting confirmation for the final one. They said that only 10 members were confirmed. I don’t know whether they are planning for additional cameos since several cast members are still waiting for confirmation / uninvites. According to our friends at RangerCrew.com, we have updates on three of the actors who were in Power Rangers Lost Galaxy. Danny Slavin who played Leo the Red Ranger in Power Rangers Lost Galaxy accepted the cameo invite to appear in Power Rangers Super Megaforce. Whether he is still attending or if he received an uninvite E-mail is unknown at the time of this news update. Finally, Reggie Rolle who played Damon the Green Ranger in Power Rangers Lost Galaxy also received the invite and was still considering whether or not to attend as he was given very little advance warning before filming was to begin. As always check our comprehensive list of returning and not-returning actors for Power Rangers Super Megaforce. Give us your thoughts! Do you want Leo and Damon to return for their cameo appearance? Discuss! Lost Galaxy Suits Seen on Set! 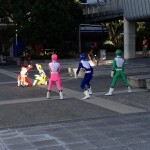 Another piece of Super Megaforce filming has appeared on Instagram. This time, we get a shot of the Lost Galaxy Rangers in action! We still don’t know if the Lost Galaxy Rangers themselves will be appearing at all in Season 2, or if the Megaforce Rangers somehow gain the ability to transform into past Rangers. What’s your theory? Hit the jump to discuss in the thread!